Boateng: "The fans have been sensational"
Mainz - FC Schalke 04's players were delighted to have secured a narrow 1-0 victory over 1. FSV Mainz 05 at the Coface Arena. The hosts, meanwhile, were left to rue a lack of cutting edge in front of goal. Shinji Okazaki: [The goal Mainz conceded] was my fault, there's nothing more I can say about it. I maybe should have turned on the ball and played it forward. I just didn't see Boateng when I was playing the back pass. Maxim Choupo-Moting: We lacked that last little bit of ambition to grab ourselves a goal. We played really well, which is why the goal we conceded huts as much as it does. We've simply got to be more effective because ultimately it's only the result that counts. Adam Szalai: For me it was a special feeling to play here again as I had a great time [at Mainz]. However, I took the next step in my career and this was a Bundesliga game which was all about taking three points. I'm pleased that we were able to win and now I'm looking forward to playing in the Champions League. 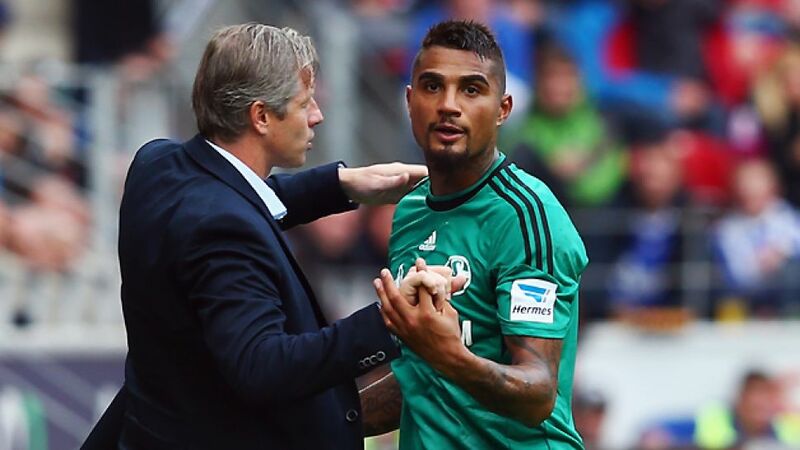 Kevin-Prince Boateng: I'm very, very happy that we collected a win today and I hope that it can continue like this. We were well-organised and rarely afforded Mainz a sight of goal. [After scoring] I formed an 'M' with my hands for my girlfriend Melissa. I promised her before the game that I'd do that if I scored. My first goal for Schalke is dedicated to her, but also to our fantastic fans. They created a super atmosphere inside the stadium, which helped us a lot. That was why it was also important to thank them after I had made it 1-0. The fans have been sensational in welcoming me the way they have. Now I hope that we can maintain our momentum going into the Champions League.